Our science fun today is inspired by the new picture book, The Voyage of Turtle Rex by Kurt Cyrus. Cyrus makes the story of an extinct sea turtle come alive with striking illustrations and crystal-quality rhyme. For my full review of the book, see Wrapped In Foil blog. Activity 1. Learn about Archelon, the extinct sea turtle and then draw a picture of what you think it might have looked like. The main character of the book, an Archelon, is an ancient sea turtle known only from fossils. It was a giant by today's standards, up to fifteen feet long. Archelon shells were leathery and where supported by a skeleton. They had wide arms and legs that moved like flippers. Archelon's life cycle is assumed to be similar to modern sea turtles. The female turtles probably laid their eggs in the sand on the shores of vast oceans. The small turtles headed to the water once they hatched. The shape of the mouth suggests they may have fed on squid and other aquatic invertebrates. The Black Hills Institute of Geological Research has information about an Archelon fossil that was discovered in the 1970's, including a series of photographs of the discovery. In the book, Cyrus describes the giant sea turtle going to the bottom and sleeping in the mud. The technical term for this form of overwintering by reptiles is "brumation." 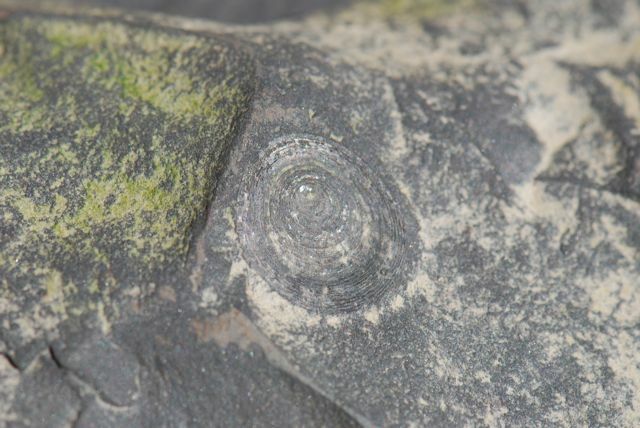 Some evidence suggests at least one of the fossil turtles may have been in brumation when it died. There is some question whether an ocean-going creature would brumate because most reptiles go to the bottom and cover themselves with mud to avoid periods of extreme cold in shallow ponds or lakes, but not in oceans. 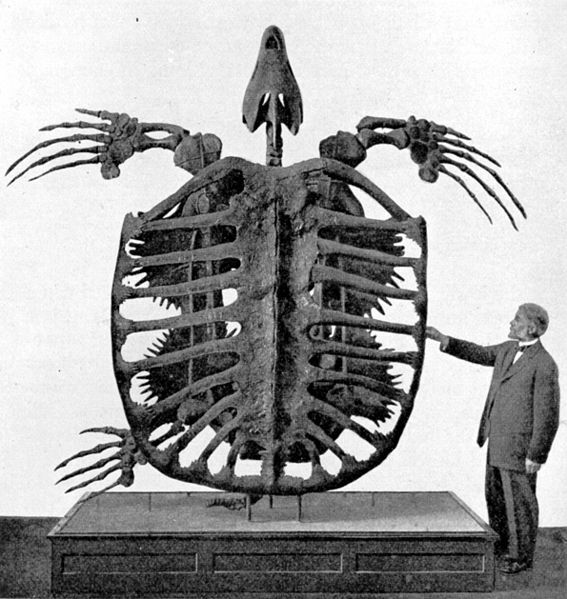 Now, imagine what you think Archelon might have looked like. Draw your own version of this extinct, giant sea turtle. BBC has an artist's rendition of Archelon. Have you seen fossils at a museum or at a gem show? Have you ever tried to find one yourself? Some places are easier to find fossils than others. In general, look for areas with sedimentary rooks, which are rocks that form in water from soil particles that fall to the bottom. Examples of sedimentary rocks are shale, limestone, and sandstone. Places where rocks are exposed are good places to start. Try the shore of a lake, a creek bed, or a newly plowed field. Note: Always be sure that you have permission to explore when you are on someone's property, and keep safety in mind. Hazards of fossil hunting include encountering dangerous animals hiding under rocks, or pinched fingers, hands or feet from dropped rocks. 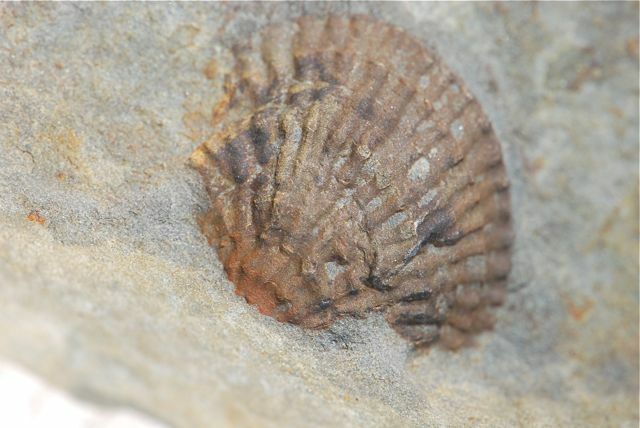 Check with you local geology club(s) or state organizations for tips about finding fossils. For example, here is a website that shows Where to Find Fossils in Arizona. This type of model fossil demonstrates the "pre-mineralization" process of fossilization. It requires a week or longer. Mix 2/3 cup salt into 1 2/3 cups water in a container to make salty water. Set aside. Have each child draw the outline of an object to "fossilize" on a sponge. Cut out the shape. Bury the sponge shape in the play sand so that it is completely covered. Pour some of the salty water into the sand to wet the sponges. You may have to make more salt water, depending on the number of sponges you need to cover. Double or triple the recipe as needed. Set the sand container in a warm spot. Over the next week, wet the sponges daily with fresh salty water. Let them dry as much as possible between applications. At the end of the week, let the sponges dry in the sand completely. Once dry, gently brush away the sand and remove the sponge fossils. They should have hardened as the salt formed a crust within the pores. If your child is interested in dinosaurs, or you are doing a dinosaur unit, The Voyage of Turtle Rex is a wonderful way to introduce young children to similar animals.